It is only at the Chor Bizarre that you can find 'a little bit of this, and a little bit of that...In the past we have been called 'a gallery', 'an attic', really clever' and 'quite mad' - all descriptions that we feel sum up the idea of Chor Bizarre. 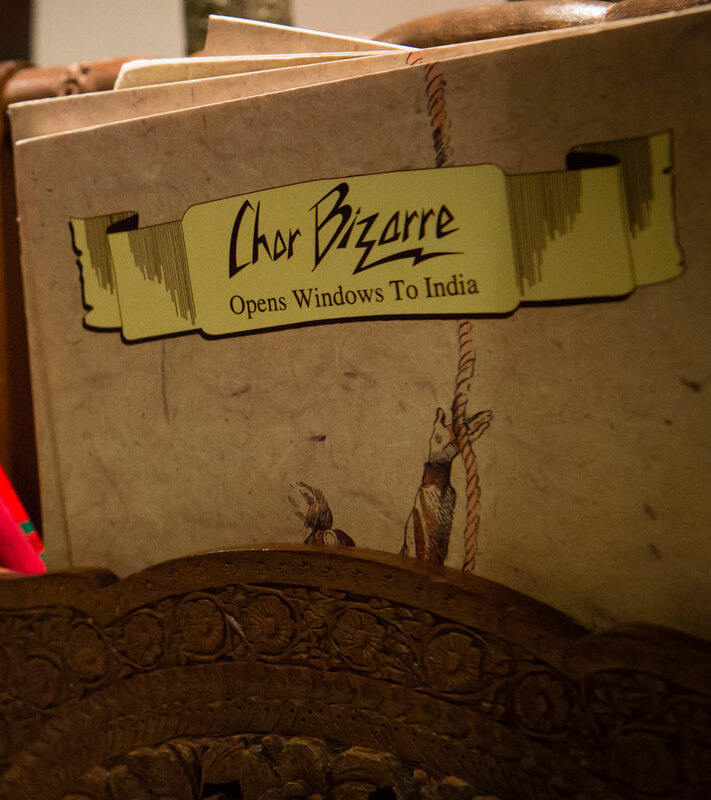 Part art, part kitsch, part imaginative, part contrived - the interiors of Chor Bizarre have been put together with India's finery, frivolity, and sheer joie-de-vivre in mind. Having created an atmosphere that provides a unique setting for truly authentic and inspired cuisine, Chor Bizarre has been one of India's most celebrated restaurants since 1990. Chor Bizarre, New Delhi is also India's first ISO 9002 Restaurant - the first to win this international distinction for quality in the country.